"This powerfully argued book combines excellent analysis of futuretrends with insights into directing and managing the forces ofchange." "Who knows what the future holds in store? Richard Scase helps usconsider some possible scenarios. A thought-provoking and enjoyableread." "Scase scores again, looking ahead at what's facing us in thefuture"
"Richard Scase has a gift for the trenchant comment that capturesthe unease of our age. In this book he draws together all theglobal economic, business, social and political trends that weperceive but only half-understand and weaves them into a coherentfabric." "Richard has captured in one slim volume, the latest thinking on'corporatisation' from the global to the personal which only adedicated RSA lecture attendee could hope to acquire over manyyears." 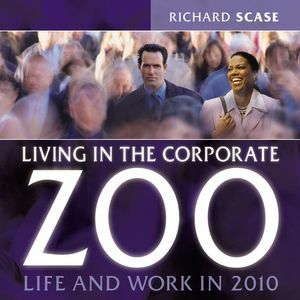 RICHARD SCASE is Europe's leading business strategist and forecaster and was voted European Business Speaker of the Year in 2002. He is author of the highly influential Britain 2010: The Changing Business Landscape (Capstone Publishing, 2000), which has not only received wide media attention across the globe but has also contributed to UK government planning and strategy.